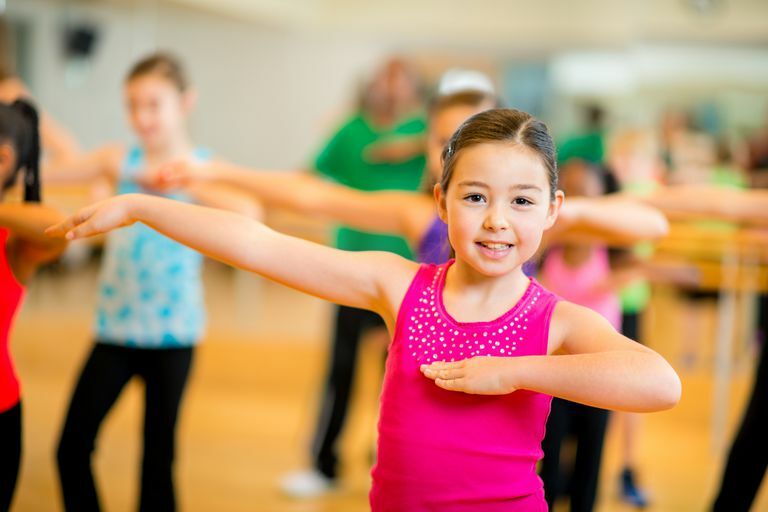 How can kids get in on this dance fitness craze? Zumba is hugely popular with mom and dad, but will Zumba for kids experience the same surge of popularity? The allure of the workouts is its premise: "Ditch the workout, join the party." Parents who love Zumba (and find it effective) may want to share the workout with their kids; kids who see their parents' enthusiasm may want to get in on the fun. Teens may be able to join you at your own class, but for younger kids, the options to participate are growing. What is Zumba for Kids? The Zumba juggernaut expanded to include Zumbatomic, a class especially for kids, several years ago. Now Zumbatomic is called simply Zumba for Kids and comes in two versions. Zumba for Kids is for ages 7 to 11. It is a dance fitness class just like mom's Zumba, but with age-appropriate music and moves, and an emphasis on "feeling fearless on the dance floor." Younger kids (ages 4 to 6) can try Zumba for Kids Jr., a "dance 'n' play party for lil' feet." And there's even Zumbini, a class where babies and toddlers (ages birth to 3) can "wiggle, sing and learn" with their parents and caregivers. Check the Zumba website to find out if these classes are offered near you. If not, you still have options. A Zumba Kids video game, available for the Wii and Xbox game systems, and recommended for ages 7 to 12 (see screenshot). Players (alone, or in groups of 2 to 4) can dance to 30 songs in a wide array of musical styles, from cumbia, reggaeton and surf to Justin Bieber. The disc also includes four motion-based mini games. Other Zumba video games: Zumba Fitness World Party (rated E for everyone) is the most appropriate for kids. Bonus points for learning some geography as you enjoy music from around the globe. Zumba at school: Zumba partners with GoNoodle to provide danced-themed, 3- to 5-minute "brain breaks" for kids in 50,000 elementary school classrooms in the U.S. Teachers can access the brain break videos for free once they register with GoNoodle. The Zumba Dance app: Load it on your phone or tablet (it's available for iOS and Android) and share workouts with your kids at home. Your own beat: Forget the instruction and the Zumba brand. Just crank up some tunes (make 'em loud and poppy) and create your own dance party at home. Have your kids join you if you use the DVDs. To find the best Zumba for you, check out these reviews: Zumba for Wii, Zumba Step with Zumba Rizer, and Zumba Exhilarate 7-DVD workout set.